Pet owners are familiar with the challenges of figuring out what their pets want. Building on Pavlov's work teaching his dogs to associate the ringing of a bell with food, researchers have tried to understand how animals and humans react to rewards under different circumstances. However, in the real world, what constitutes a reward and how this may motivate behavior are rarely clear. 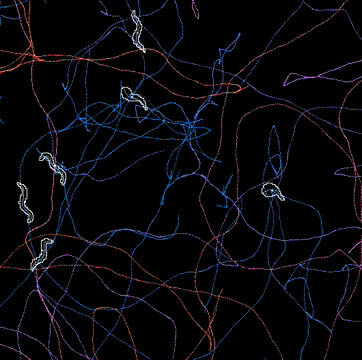 Writing in PLOS Computational Biology, a team of scientists at Kyoto University's Graduate School of Biostudies report how worms evaluate a potential reward, examining their reactions by studying their movements. "Current behavioral models are based on known rewards, so we can't use them to study freely behaving animals," explains lead author Shoichiro Yamaguchi. "We realized that we needed to look at the inverse case, and more accurately define the value of rewards from the behavior of the organism." The team observed heat-sensitive worms as they searched for food on surfaces with different temperature zones, applying a machine learning method to understand how potential food rewards guided the movements. Worms initially fed at a certain temperature were then observed to move toward that temperature zone when transferred to a plate with a range of different surface temperatures. In contrast, worms that were starved at a certain temperature, and then transferred, moved away from that zone. The team's model showed that the fed worms sensed not only the environmental temperature, but also the change of temperature as they moved over different zones. 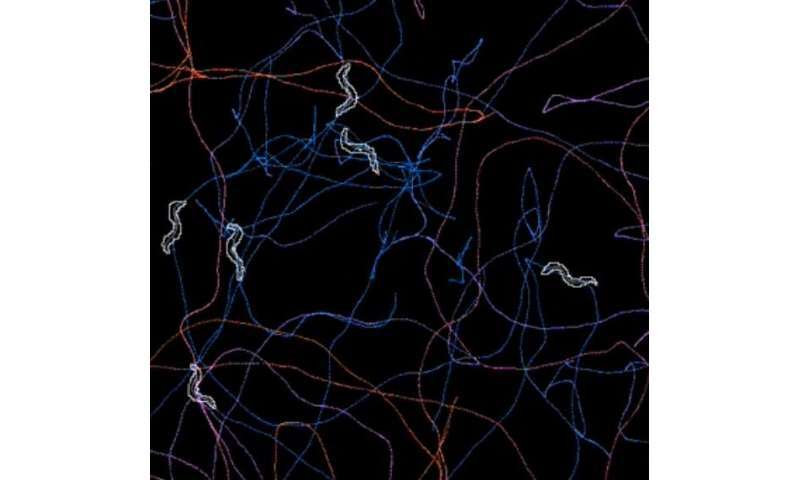 The worms combined these sensations into a behavioral strategy to reach food using a minimal amount of energy, comparable to rational decision-making in humans. Interestingly, the starved worms based their movements only on the temperature of the environment to escape from temperature zones they considered unlikely to contain food. "Our approach accurately reproduces this simple worm behavior and gives much deeper insights into its underlying mechanism," elaborates senior scientist Honda Naoki. "Combining our approach with neurological measurements of freely behaving animals could help us better understand the essence of decision-making in higher animals as well as guide developments in artificial intelligence." Use Lure of Feed or whatever to line up a whole bunch of wild animals and stick non-removable Cameras on their backs; Then, use the same lining up procedure to remove those Cameras all over again. betterexists? Does it? Really? Great! So, perhaps you could exchange yourself for the better version of you. You know, the one that isn't fetishing about lining up Wildebeest so they can nail Nikons on their backs to no seeming purpose. Not that one. That one needs deleting, possibly in a stampede of angry Wildebeest. If you want to know what animals want, ask one. Humans are animals every bit as much as a dog or cat. Science needs to purge itself of cultural notions of human uniqueness originally rooted in religion that is so deeply embedded in our psyche that even atheists believe them. As a result, they believe humans are so different from other animals nothing can be learned about animals by looking at ourselves. We are vastly more intelligent than a cockroach but fall far short of its ability to survive a nuclear winter. The differences that do exist have to do with complexity, but generally, all animals want the same things and their behavior is dictated by the need, desire for food, shelter, and reproduction. The differences we see are due to their level of intelligence and awareness. Simplifying human behavior quickly explains most animal behavior. Using nematodes is just an example of avoiding the obvious.